Today’s post is a virtual exhibition featuring historic and contemporary film, video, installation, and performance works that utilize film and analogue technologies in a search for the cinematic, even as these materials and methods become obsolete and disappear. 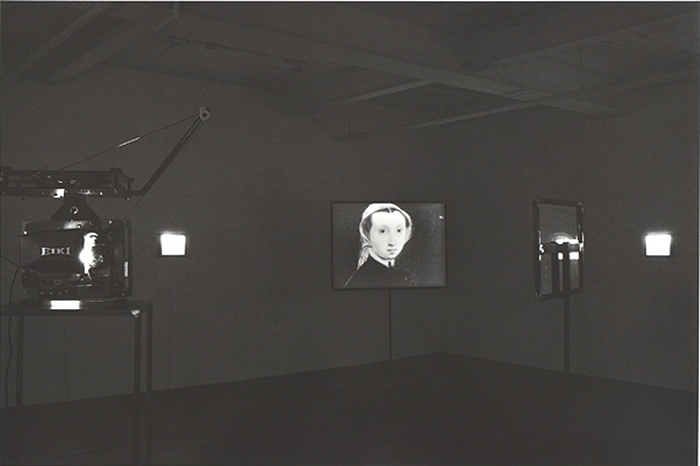 Based in part on a reading of Matilde Nardelli’s essay, Moving Pictures: Cinema and Its Obsolescence, this exhibition addresses the widespread use of outmoded or obsolete technologies in recent art and questions the interpretation that artists are engaging in acts of fetishization, nostalgia or mourning for analogue in the wake of digital technology. Taken together, these works from the past and recent history of contemporary art resonate visually and conceptually with each other and with the poetic potential for cinema in a digital future. 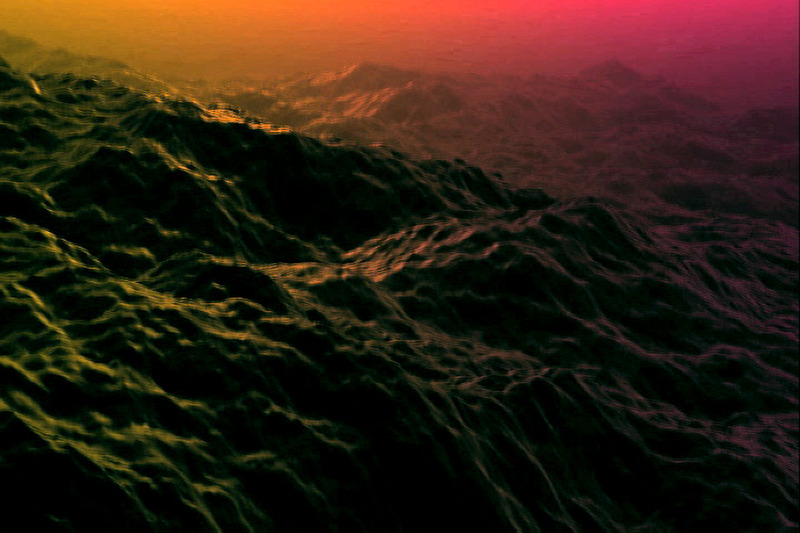 Victoria Fu is a visual artist working in film, video, photography and drawing. 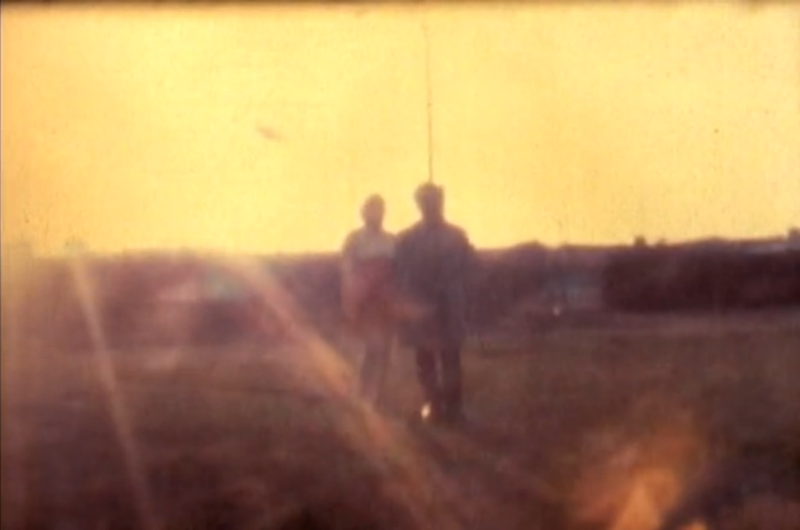 Part of a larger series of fictional home movies and constructed archival footage, Self-Portrait at LAX deploys the evocative power of Super 8mm film both in its creation and presentation. The impossibilities embedded within the making of Self-Portrait at LAX are underscored by the disembodied sound of a film projector which is conspicuously absent in the work’s display. Fu will be featured in an upcoming exhibition at TYPOLOGY. Click to view film on Vimeo. Nardelli launches her essay with a quote from philosopher Régis Debray, who in his 1997 book Transmitting Culture, draws a distinction between art and technology through comparison of their respective afterlives in the museum. Thus decontextualized, “the art object transmits futurity. The once-revolutionary industrial object, however, once it is withdrawn from circulation, transmits only pastness” (Moving Pictures, p. 243–244). But Nardelli disagrees, stating that Debray has missed a critical permutation in contemporary art, one in which obsolete technology has become an integral part of an artwork, if not the artwork itself. Matthew Buckingham utilizes photography, film, video, sound, text and drawing to question the role that social memory plays in contemporary life. Like Fu’s Self-Portrait at LAX (above), Buckingham’s installation examines the implications of the reflexive gaze. In this case the self-portrait in question was painted in 1548 by Caterina van Hemessen, considered to be the first known self-portrait of an artist depicted working at an easel. 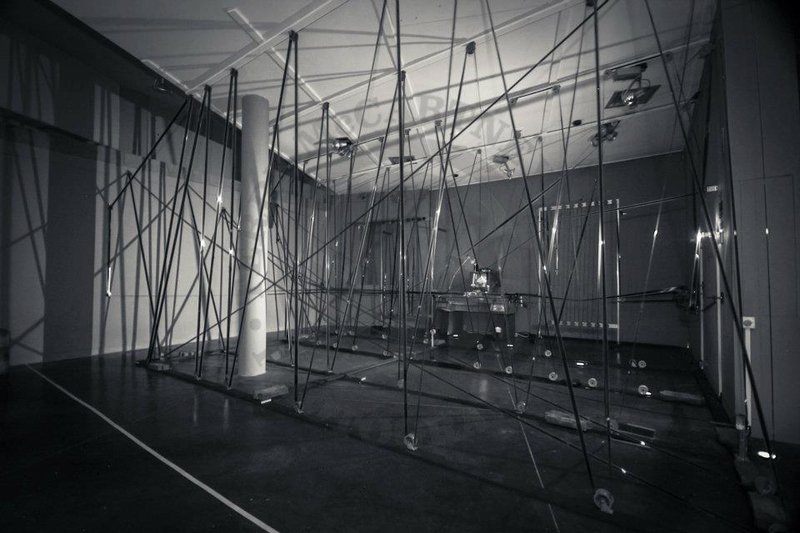 The installation comprises a 16mm film projection bounced off a mirror onto a freestanding screen surrounded by twelve framed, reflected texts. Featuring enlarged fragments of the self-portrait, the film replaces the original whole of the painting with a representation of looking. Situating the viewer in van Hemessen’s place as she gazes upon her reflection, our lived experience becomes synchro­nized, for a moment, with hers. A brief history of artistic engagement with cinema follows, beginning with the late 1960s. During that time of public happenings and Fluxus interventions, many artists sought to “reclaim and exhibit film as a critique of the institution of cinema itself, revealing how even its physical apparatus could be co-opted by political ideology” (p. 244–245). Annabel Nicolson is an artist whose performances and films foregrounded the malleability and fragility of the medium even as they offered a feminist critique of art in the 1970s. Trained as a painter, she has described her approach to film as a material to be manipulated by hand rather than with a camera. 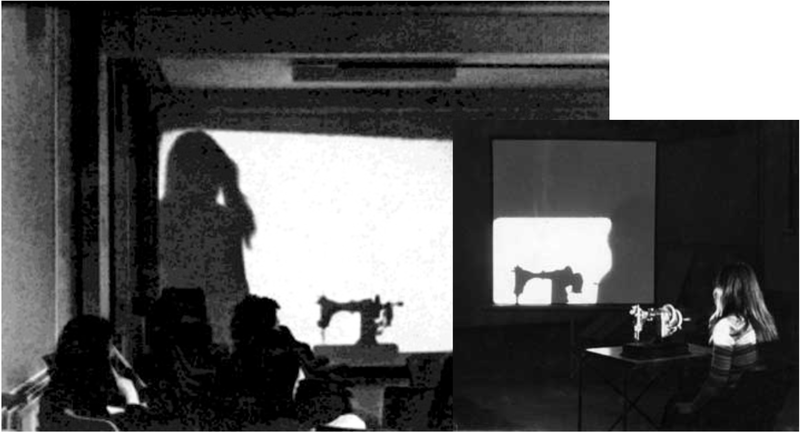 For Reel Time, Nicolson ran a loop of film from the ceiling, through a sewing machine where she sat, and back into a projector. Another projector, situated behind her, threw her shadow onto a screen in front. As Nicolson sewed, the film tore, emitting shards of light onto the screen. Whenever the film snapped, Nicholson would splice it and start again, continuing until the film was physically too shredded to be projected. However, unlike their predecessors, contemporary artists display fascination rather than fear of the cinematic spectacle, embracing and deploying the material qualities of film to engage or seduce the viewer. Is this reversal is a “melancholic product of our times… a kind of reflection of the digital age in the mirror of nostalgia”? Nardelli deems this to be a symptom rather than a cause of this contemporary impulse, and instead posits that it is not so much a reflection of nostalgia or mourning, but a reflection on these and other aspects of obsolescence – privileging the definition of “reflect” which means to think rather than to mirror (p.245). Tacita Dean is an artist whose films often function as memory-laden portraits or slow-moving depictions rather than conventional narrative cinema. 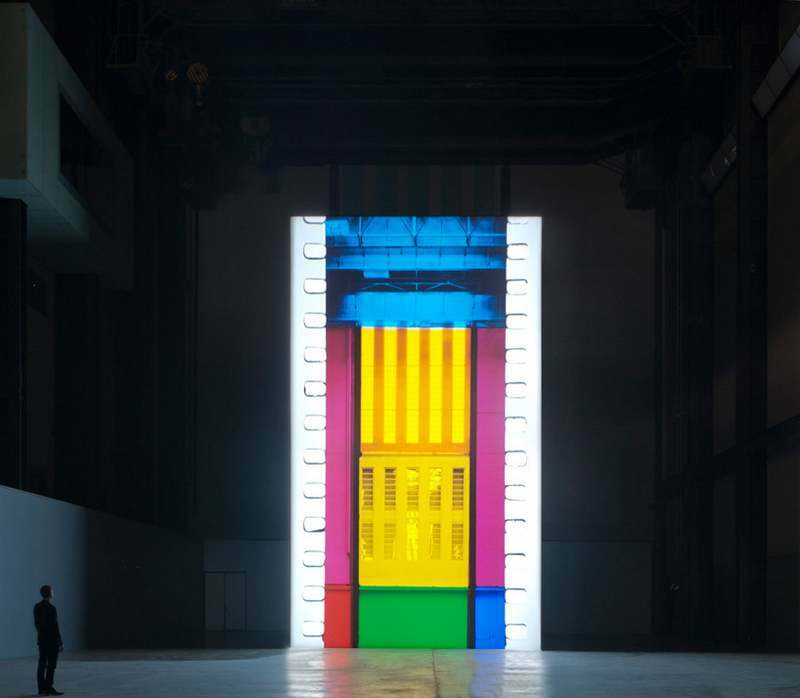 Her 2011 work FILM, projected onto a 13-metre monolith at the back of the Tate Modern’s Turbine Hall, is “both an act of mourning and an argument for the future” of film. Through the use of analogue technologies, artists are re-thinking the very idea of cinema and re-imagining its possibilities within a digital future. In the process, the cinematic becomes more than just a quality to contemplate or memorialize, but “a kind of actor” which is made to perform its own obsolescence. Paradoxically then, obsolescence enacts not “the fossilization of cinema but its plasticity; not its death but its continuation”, as that which is cinematic ultimately transcends its material and technological origins (p. 245). Rodney Graham and Atom Egoyan are highlighted as two contemporary artists whose work with cinema exemplifies this approach. Rodney Graham utilizes photography, film, video, music, sculpture, painting and books to examine social and philosophical systems of thought, often through an engagement with technologies of the past. For Torqued Chandelier Release, Graham flipped a 35mm film projector onto its side to project the unwinding of a twisted chandelier. Filmed at the unusually high speed of 48 frames per second for maximum smoothness and crispness, the work is a dazzling meditation on the very essence of cinema — movement and light. 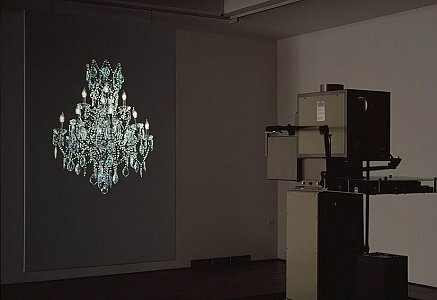 In her examination of Rodney Graham’s Torqued Chandelier Release and Rheinmetall/Victoria 8, Nardelli asserts that Graham is effecting a re-mystification of the cinematic apparatus, enrapturing viewers with the spectacle of its movement (both the literal movement of the projector and the cinematic movement of the image), high contrast and clarity, and mesmerizing repetition. Such hallmarks remind us of the magic that cinema was, emphasizing the “historicity of its mechanics, the obsolescence of its machinery, and the archaic in its attraction” (p. 250). 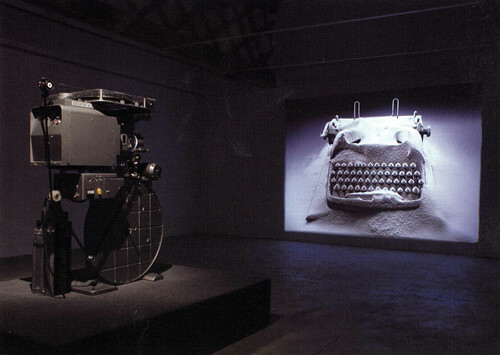 Rheinmetall/Victoria 8 features a larger-than life manual typewriter, making visible yet another analogue technology which had always been behind the scenes in the production of film during its heyday. But rather than a well-used workhorse, Graham’s embodiment of obsolescence appears to be untouched, objectified, and larger than life. Without warning, what appears to be a series of still images comes alive when softly accumulating flakes of “snow” begin to descend upon the typewriter in the film. Re-conjuring the surprise of this “moment of movement”, Graham, like Dean by other means (see FILM, above), reminds us of the spectacle that cinema once was, and can still be, today (p.250). In contrast to Graham’s sparkling displays, Atom Egoyan’s labyrinthine film installation Steenbeckett highlights the physical ruination and decline of cinematic technology. Just as the wrinkled face and hands of the work’s protagonist signify his decay and impending death, so does his image, chemically imprinted on a strip of celluloid, become scratched and torn, representing the fading into oblivion of cinema itself with each precarious trip through the installation. Atom Egoyan is a critically-acclaimed filmmaker best known for his films The Sweet Hereafter (1997) and Ararat (2002), for which he won a Dan David Prize for Creative Rendering of the Past (2008). 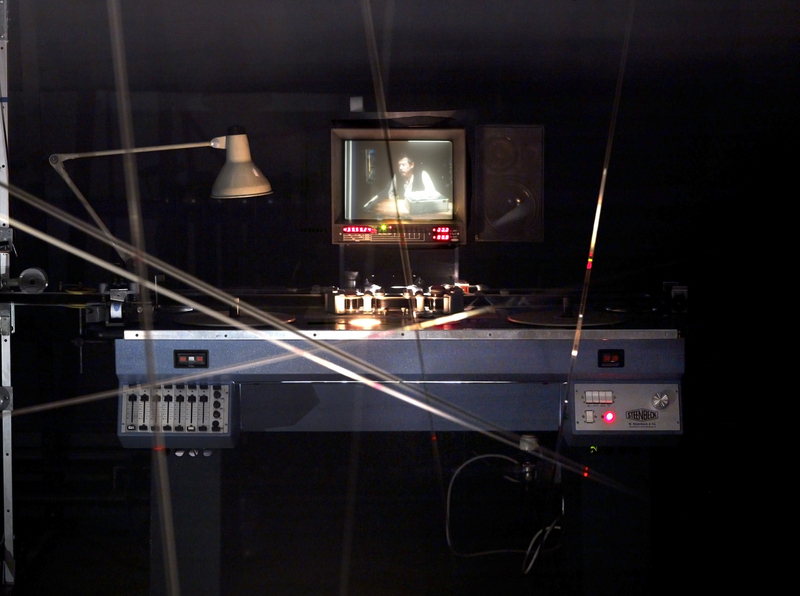 For his 2002 installation at the former Museum of Mankind in London, Egoyan repurposed the final reel of his feature film Krapp’s Last Tape (2000), threading a single, 20-minute take comprising 2000 feet of celluloid through a complex pathway of pulley-suspended sprockets driven by an outmoded Steenbeck editing table. 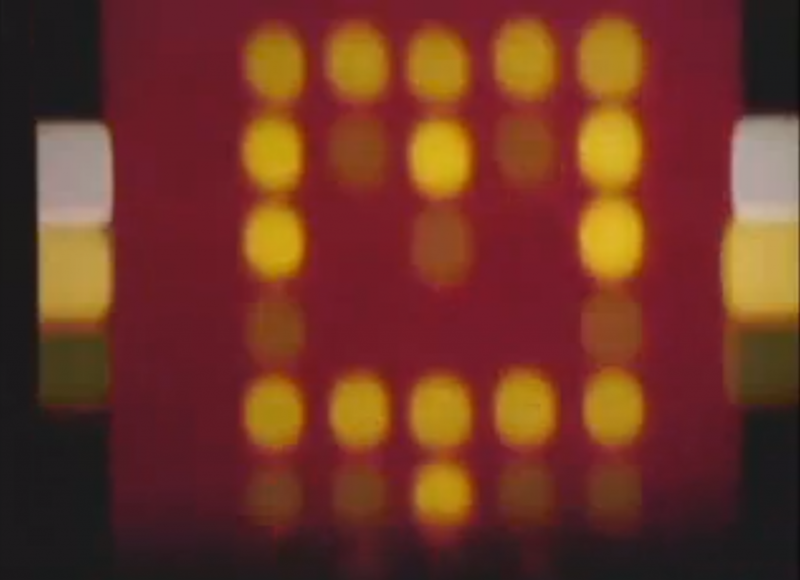 In so doing, Egoyan created a work both from and about the deterioration and disappearance of cinema’s physical apparatus, a conceptual bookend to Nicolson’s Reel Time from thirty years earlier (above). However it is precisely through these and other artists’ envisioning of film’s transience, both in terms of its physical movement through space and its impermanence over time, that we gain a more nuanced view of the relationship between cinema and the digital. Ultimately the death of cinema is not a killing at the hands of the digital – rather, cinema’s very creation and display has always presupposed its own destruction. At the same time, the presumed superiority of digital transmission is questioned – the swiftness and ease with which it is created applies equally to its erasure. As Egoyan himself states, “a few strokes of the keyboard” will do (p.256). In conclusion, Nardelli cites film theorist Laura Mulvey, who in her book, Death 24x a Second, concludes that “rather than killing the cinema, it is digital technology which gives it new life” (p.260). Digitization and widespread distribution via the Internet have brought unprecedented visibility and accessibility to even the most obscure film archives, and image controls within playback software enable such levels of scrutiny that Mulvey has coined the term “aesthetic of delay”. 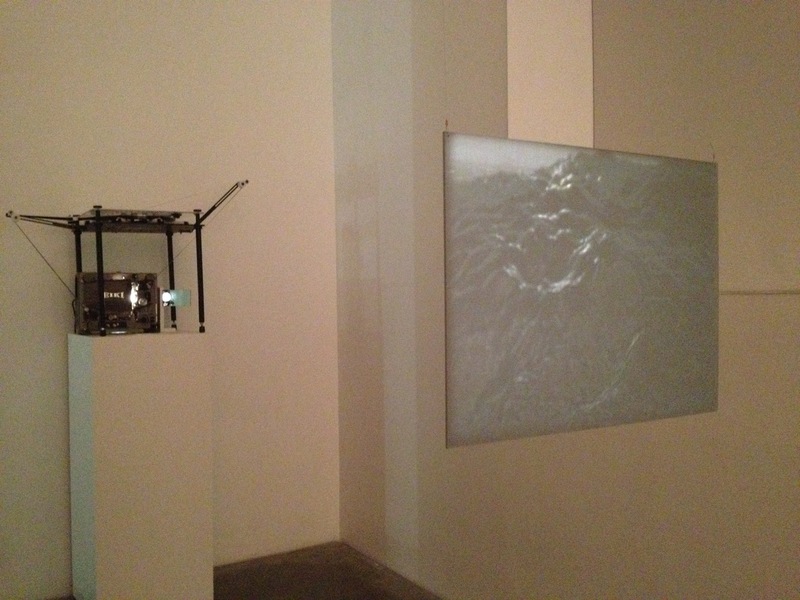 In conceptual works that include early sampler-based academic music, anonymous Internet-circulated video, sculpture, installation, and writing, Seth Price uses strategies of appropriation, recirculation, and packaging to explore issues surrounding image reception and distribution in the wake of digital technology. A specific area of interest is the digital image’s lack of a support (in the way a painting has canvas as its support, or film has celluloid and projectors, for example) and how this renders the digital image unstable, immaterial, and endlessly mutable. For Untitled Film Right, Price purchased a stock digital video loop normally used for business presentations, added his own distortions (including slowing it down greatly), and transferred it to 16mm film, reversing the usual pathway for the moving image and rendering a corporate cliché into something else entirely. This dialectic between old and new actively renews the old and allows the new to be thought through the old, highlighting continuities between them – namely memory (referring to the past) and movement (referring to the future). These continuities in turn transcend the transience and obsolescence of both physical and digital, ensuring the continuation of the cinematic despite the ongoing decay and disappearance of its apparatus. Nardelli closes her essay by re-addressing Debray’s statement from the beginning of the essay, confirming that with respect to the current artistic trend (indeed, the use of analogue technologies has become a hallmark of contemporary art), the art object does transmit futurity, but paradoxically only through the very objects that, in Debray’s limited view, can communicate only pastness (p.261). Paul Sharits was an avant-garde filmmaker, artist, and professor of media studies, widely acknowledged for his Structuralist innovations in film. 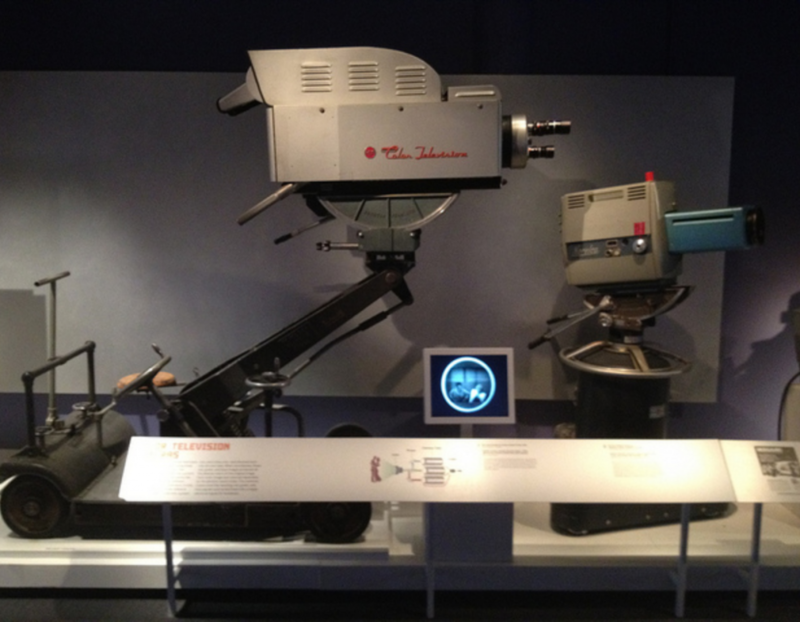 Using multiple projectors, infinite loops, experimental sound, and physical interventions, the artist pioneered an elemental mode of cinema and its display in museum and gallery spaces. Tragically, Sharits committed suicide in 1993 at the age of 50. In his short film Tails, a series of tail ends of varied strips of film appear to run through and off of a projector, washing the screen with rich, rapidly shifting hues and flickering abstract images poetically suggestive of an ending. A sprocket-framed reverse waterfall of colour and light, Sharits’ wistful farewell foretells the monumental elegy that would be Dean’s FILM more than three decades hence. Click to view film on UbuWeb. Thank you for viewing our first online exhibition. We look forward to welcoming you to our actual space opening later this fall!